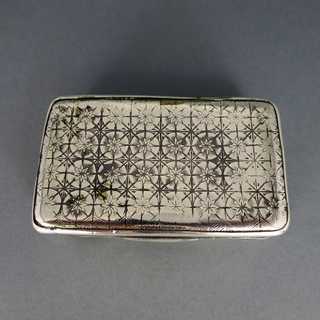 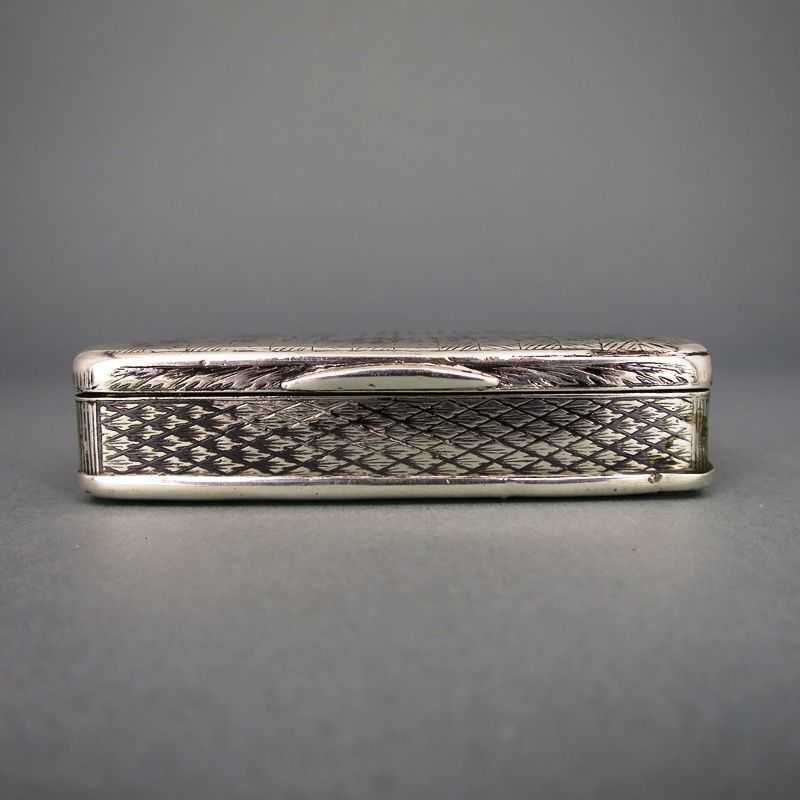 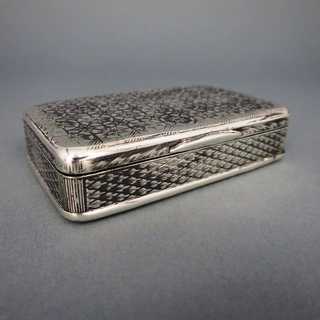 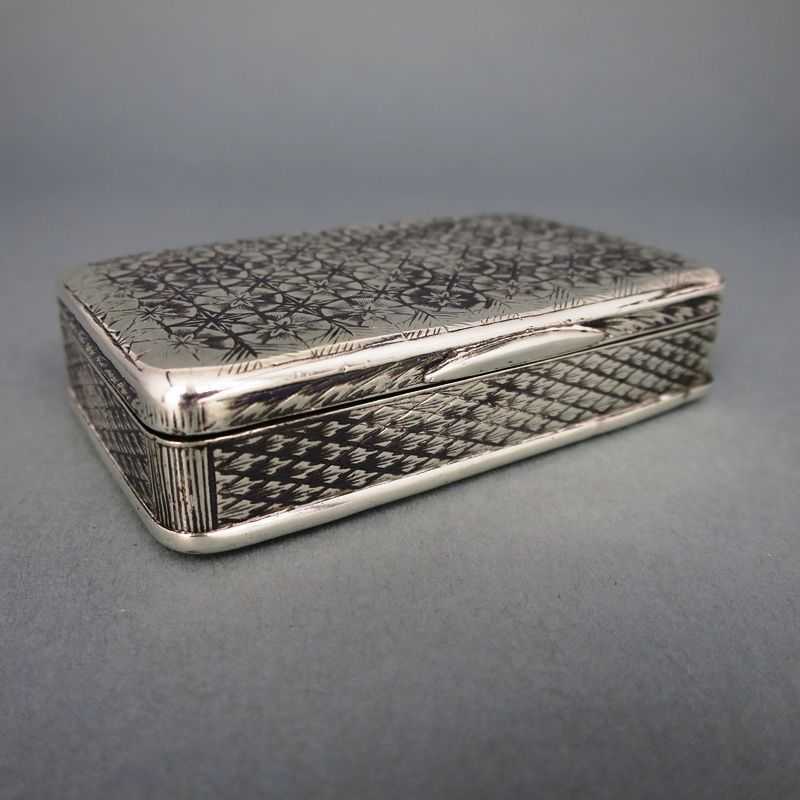 Beautiful decorated antique snuff tabak box resp. 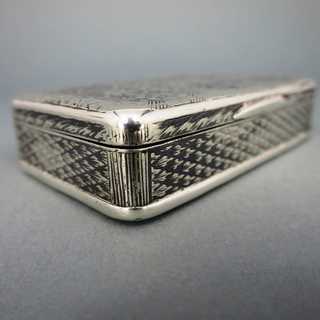 cigarette box from Russia. 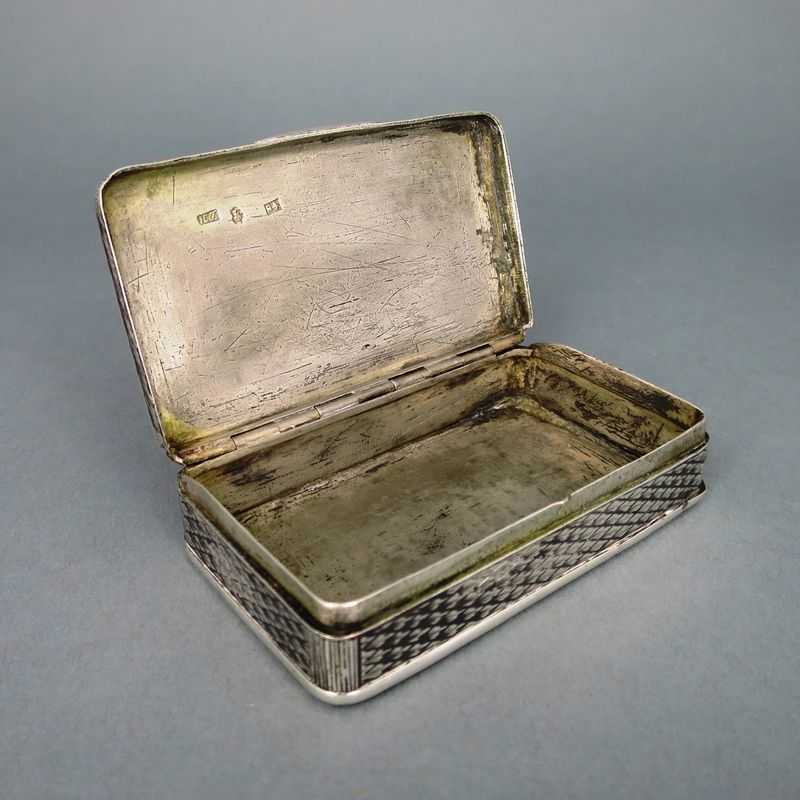 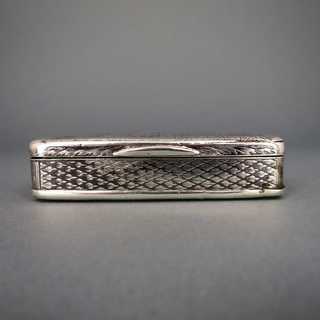 Rectangular shape with slightly domed bottom and hinged lid. 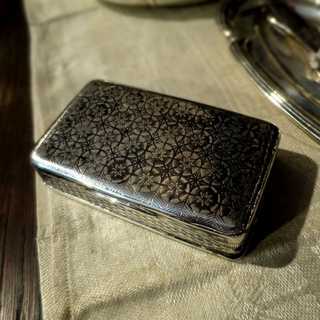 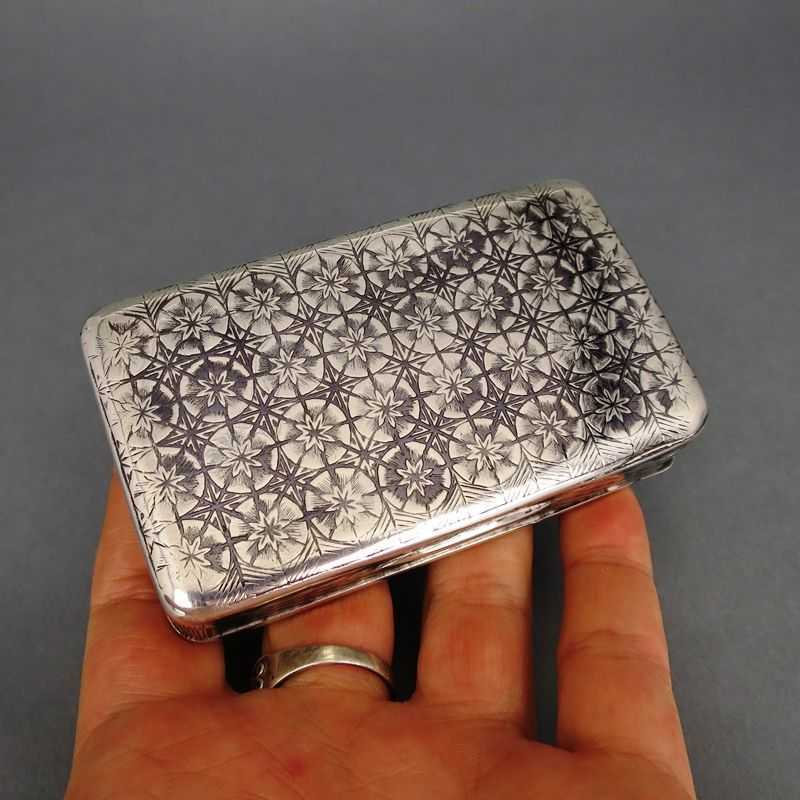 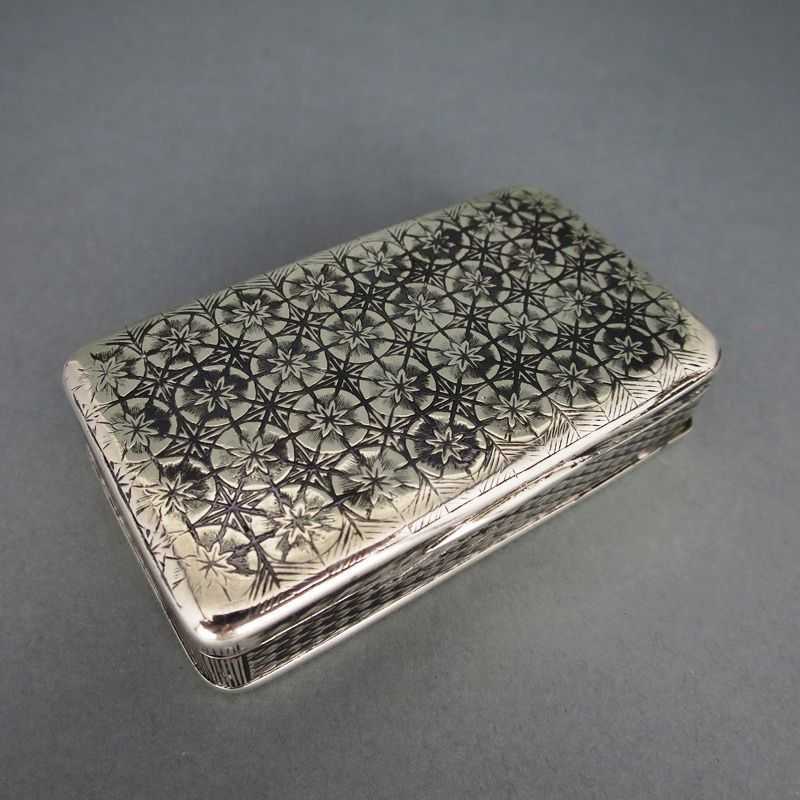 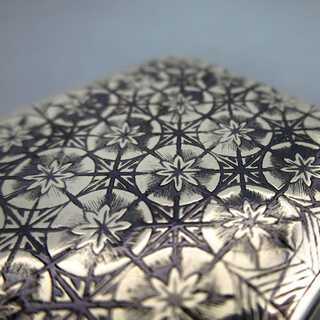 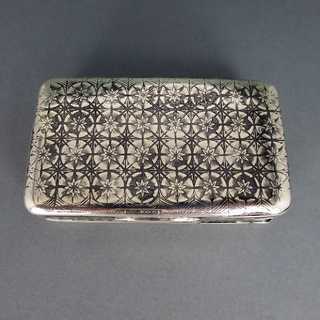 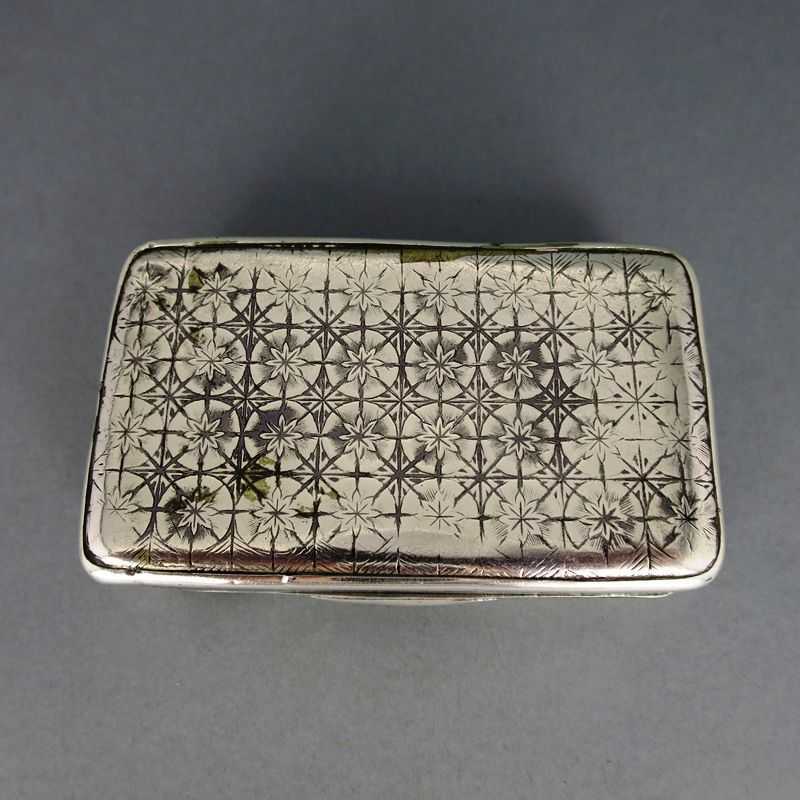 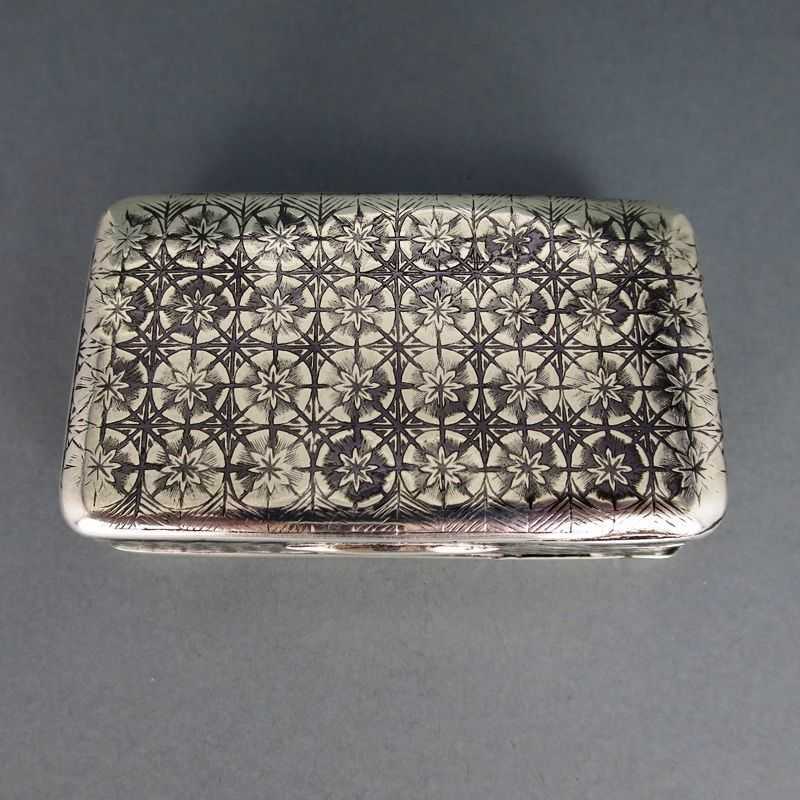 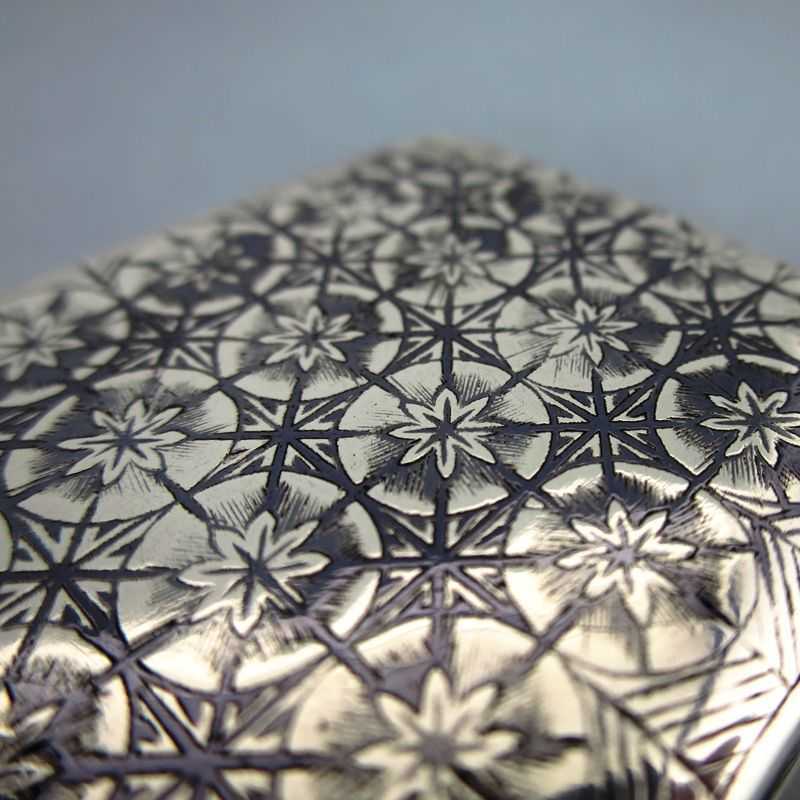 The surface is totally covered with engraved geometrical pattern, filled with black niello. Inside gold plated. 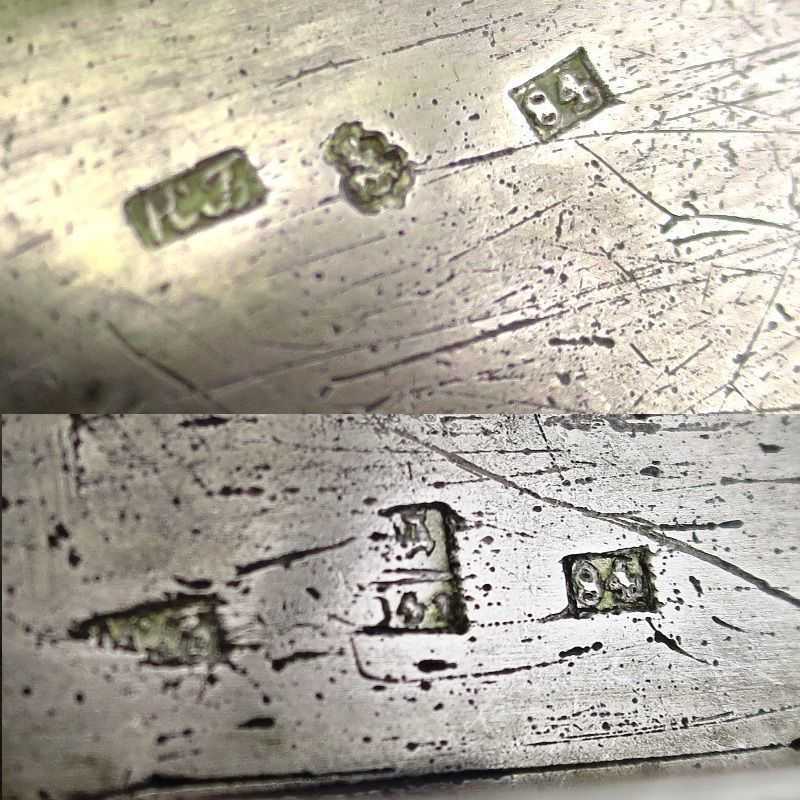 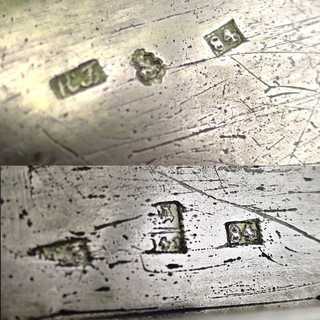 Marked, master mark not known, assay mark by Nikolai (Nikolaj) Dubrovin in Moscow, assayer in the years 1822-1855, dated 1841.